Home / Did someone say beads? The final lesson of lulu mypinkturtles’s angel queen is all about the beads! What can I say? I love beads. 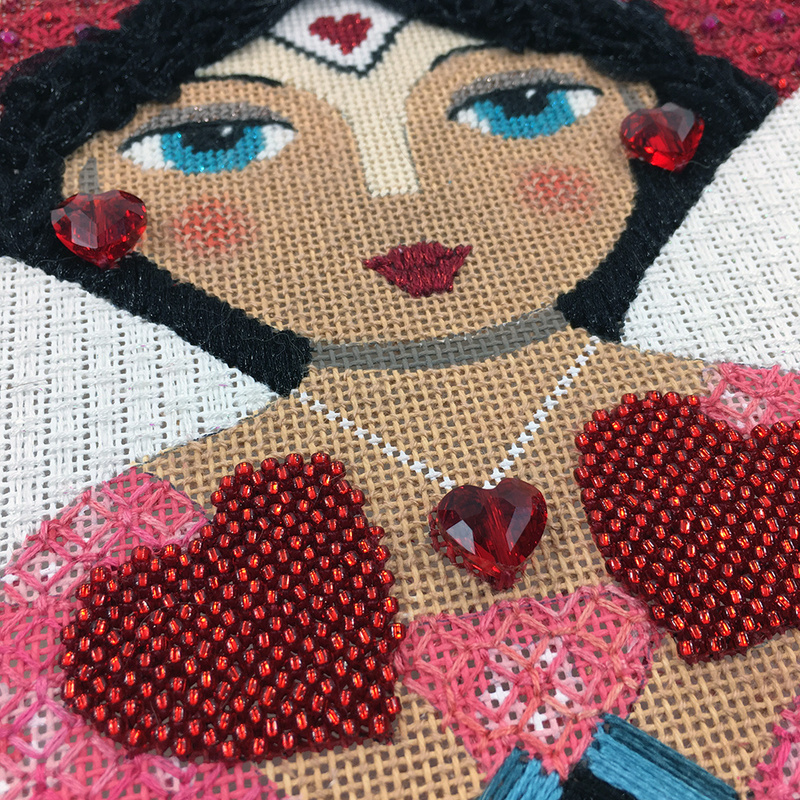 I added crystal jewelry and the hearts in her hands are beaded and sparkling. 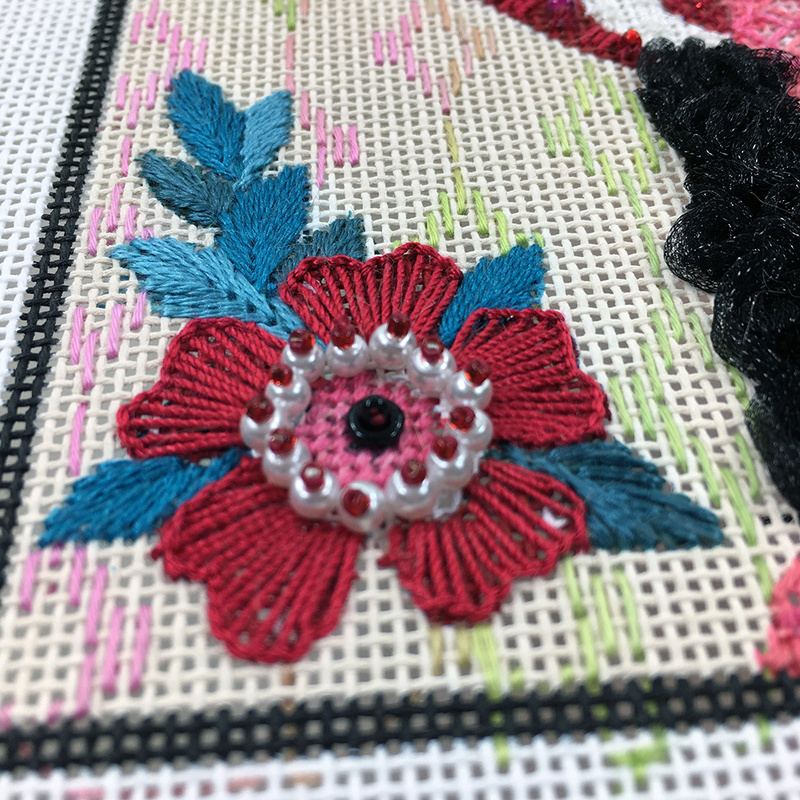 The motifs in the corners were some of my favorite parts of the canvas. Ok, there’s two of each, and I don’t like doing anything twice but aside from that these little gems were fun to create. The flowers have pearls and O beads in addition to fun threads. The sparrows are super fun. 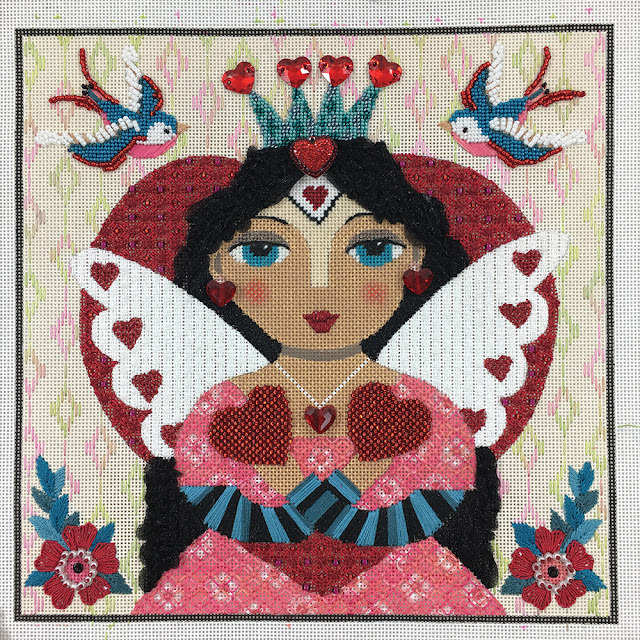 Row beading and bead embroidery join forces with needlepoint stitches, YAY! This is what I love. All my favorite techniques coming together. 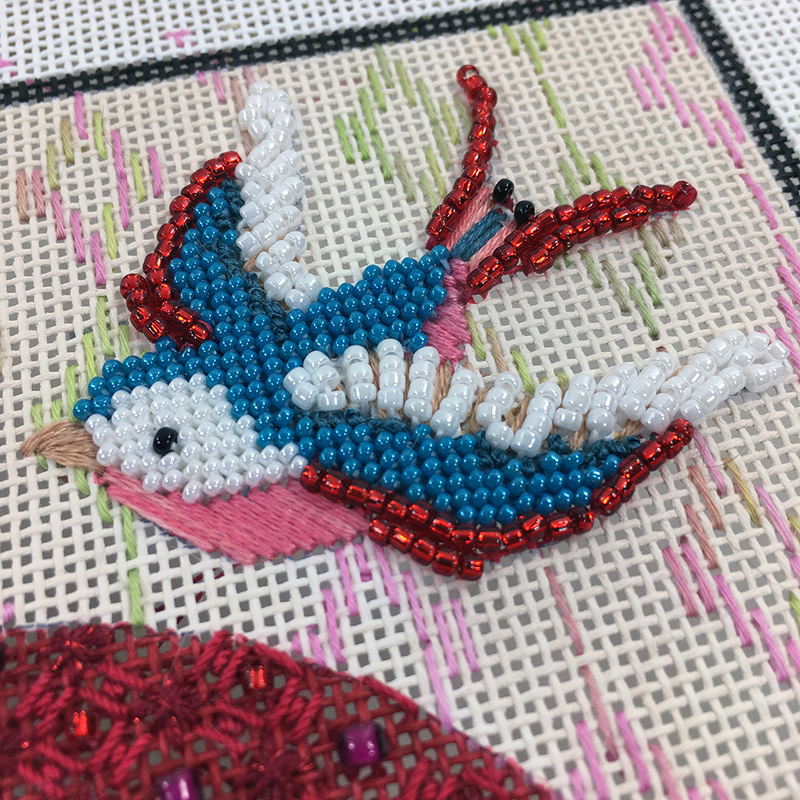 Thanks for following my stitching adventures. New things are just around the corner.